The marker is located on the trail to the west of the spillway. 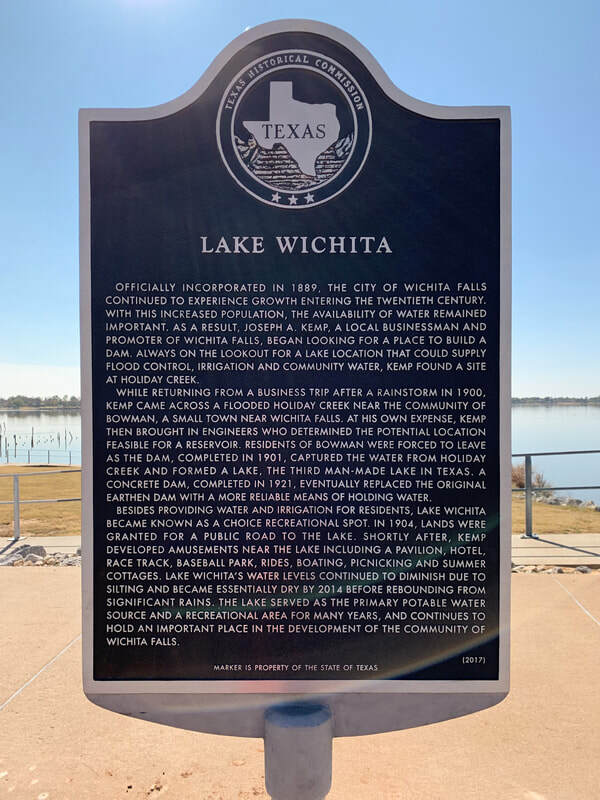 Officially incorporated in 1889, the City of Wichita Falls continued to experience growth entering the Twentieth Century. With this increased population, the availability of water remained important. As a result, Joseph A. Kemp, a local businessman and promoter of Wichita Falls, began looking for a place to build a dam. Always on the lookout for a lake location that could supply flood control, irrigation and community water, Kemp found a site at Holiday Creek. While returning from a business trip after a rainstorm in 1900, Kemp came across a flooded Holiday Creek near the community of Bowman, a small town near Wichita Falls. At his own expense, Kemp then brought engineers who determined the potential location feasible for a reservoir. Residents of Bowman were forced to leave as the dam, completed in 1901, captured the water from Holiday Creek and formed a lake. 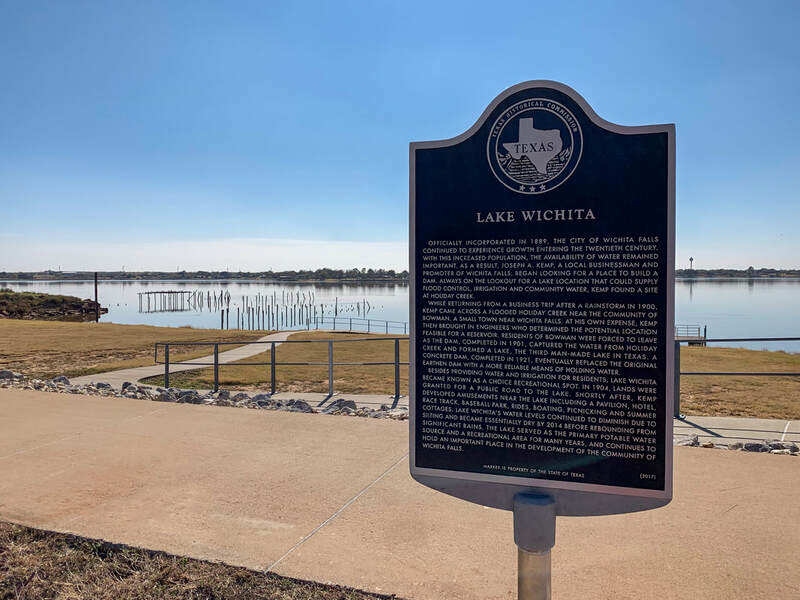 The third man-made lake in Texas, a concrete dam, completed in 1921, eventually replaced the original earthen dam with a more reliable means of holding water.